Our Kenya backpacking trip included an unforgettable Maasai Mara tour, which involved witnessing the Great Migration, watching a lion pride’s breakfast-time, meeting Maasai people in their village and seeing many, many animals. 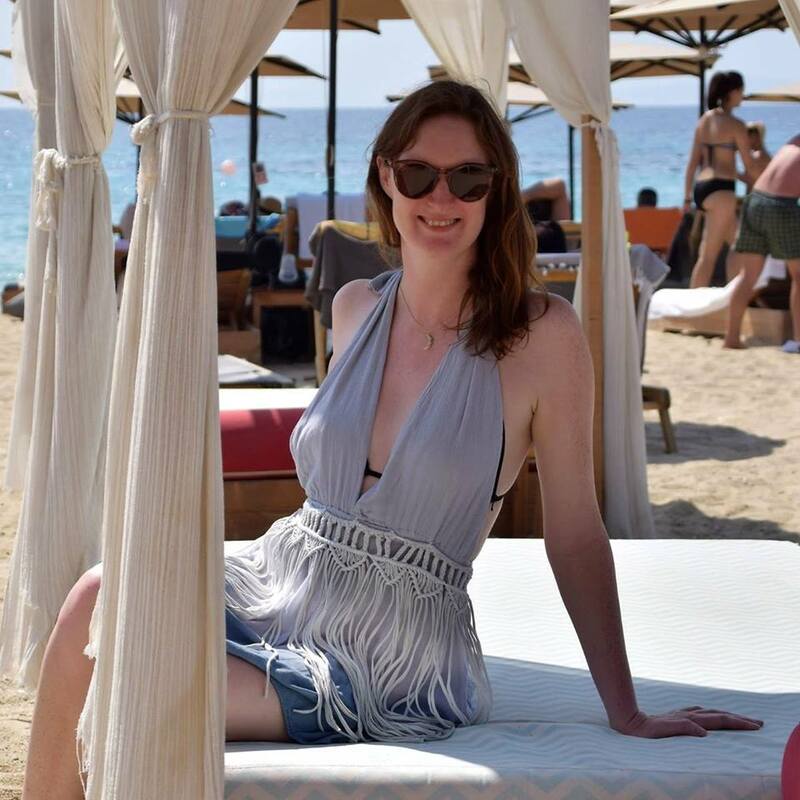 Read on to find out how this incredible adventure unfolded. After our action-packed Nairobi day trip, we met the tour group at a nearby hotel. The tour leader was my friend Kate, who I met three years ago in Borneo. I admired her as she organised a room full of 22 strangers – aged from 19 to 78, many full of questions about what lay ahead. We all made our own sandwich lunch from the food provided – we’d get used to doing this on a daily basis. Then, everyone chipped in to make sure our bags were loaded in the right vehicles and the plates and cutlery were cleaned and put away. 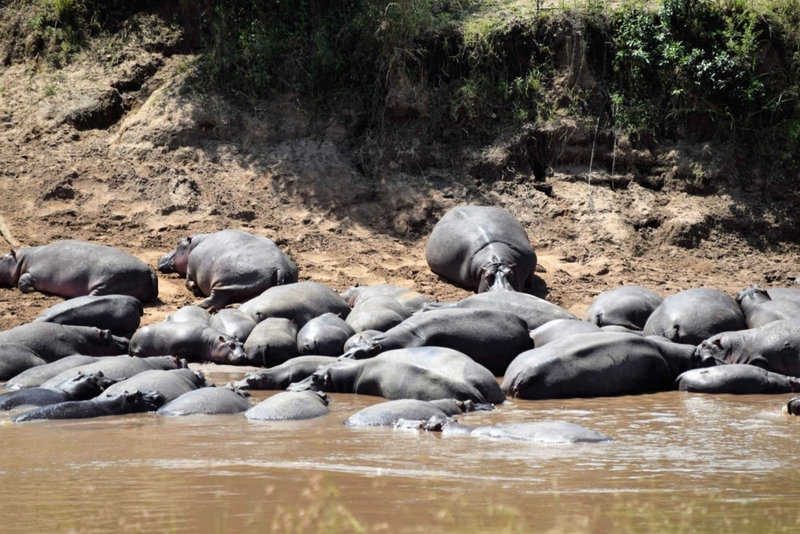 It was time to head out for our Maasai Mara tour to explore this world famous game reserve. The first thing that surprised me is that you can see giraffes sauntering around, not far from the road, even before you’ve entered the Maasai Mara National Reserve. Unlike being in a zoo, this is the animals’ land and we were just visiting. There are no fences or barriers. Sometimes the giraffes would just walk around on the road, seemingly undisturbed by the presence of the vehicles. 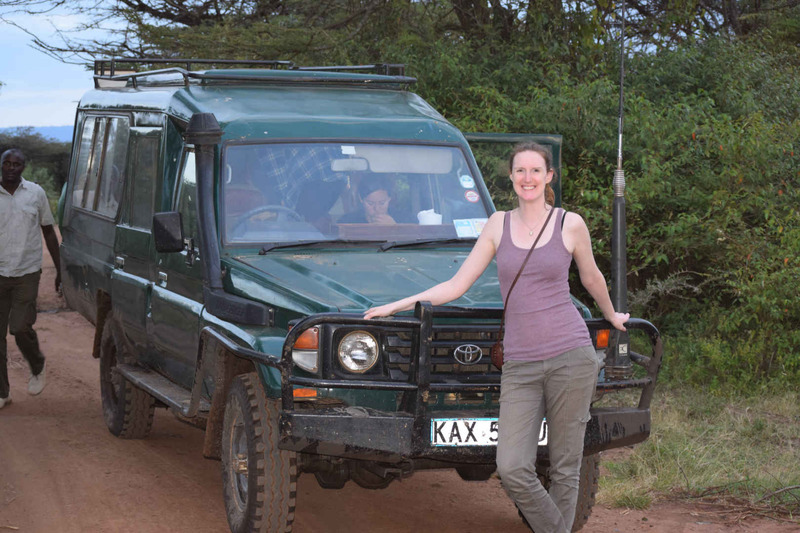 That evening we arrived at Acacia campsite, where we were assigned huts and properly met the group over a Tusker beer at the camp’s bar, as we introduced ourselves and Kate ran through what we could expect from the rest of the tour. 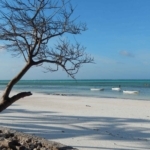 It was July, and this time of year Kenya has its shortest days. The limited sunlight hours meant we’d have to be up early to eat our breakfast, prepared by our talented cook, Mash, before heading out on safari. Sunrise starts were to become the norm. 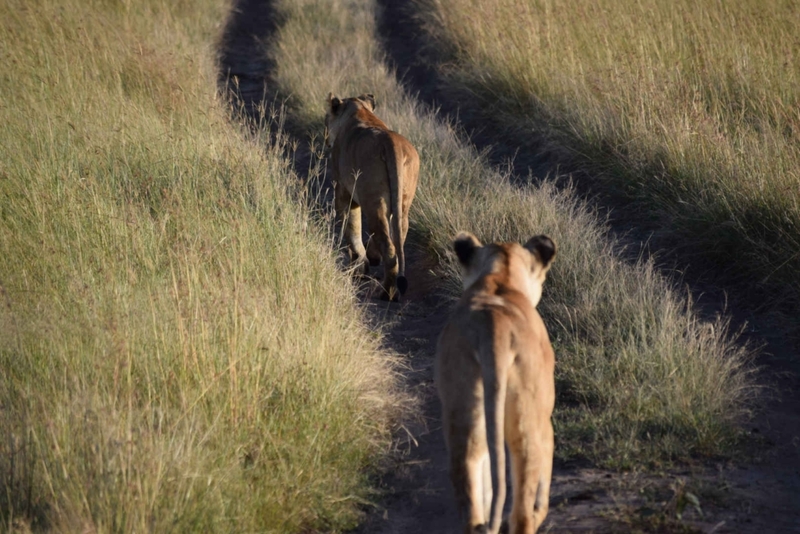 While the aim is to see the ‘Big Five’ – referring to the African game animals said to be most difficult to hunt – we saw so many more creatures than I was expecting. 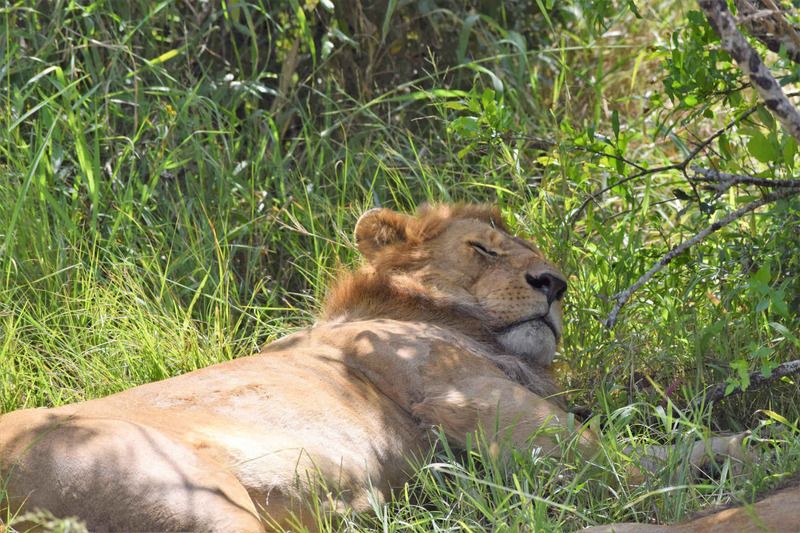 The five named are the African lion, African elephant, Cape buffalo, African leopard and rhinoceros. We were lucky enough to see all of these on our trip. We also saw birds of prey, colourful lizards, monkeys, pink flamingos, crocodiles, African buffalo, enormous hippos and leggy ostriches. 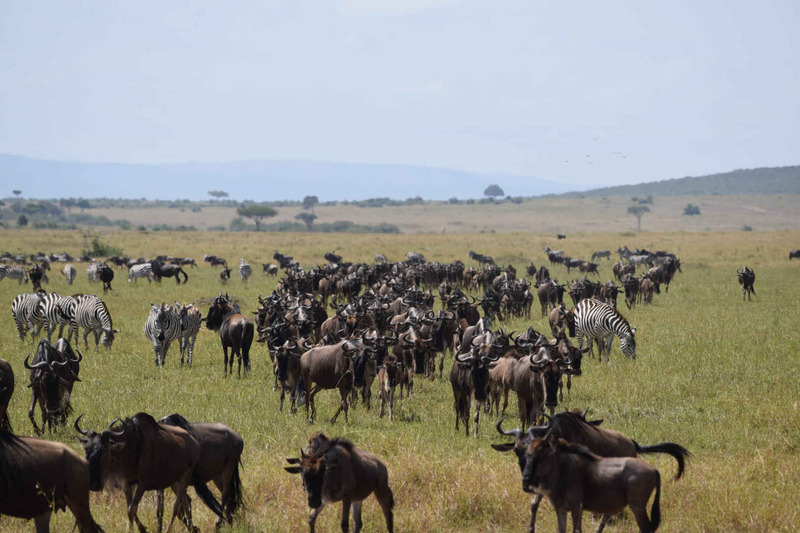 We were extremely lucky to see the Great Migration. 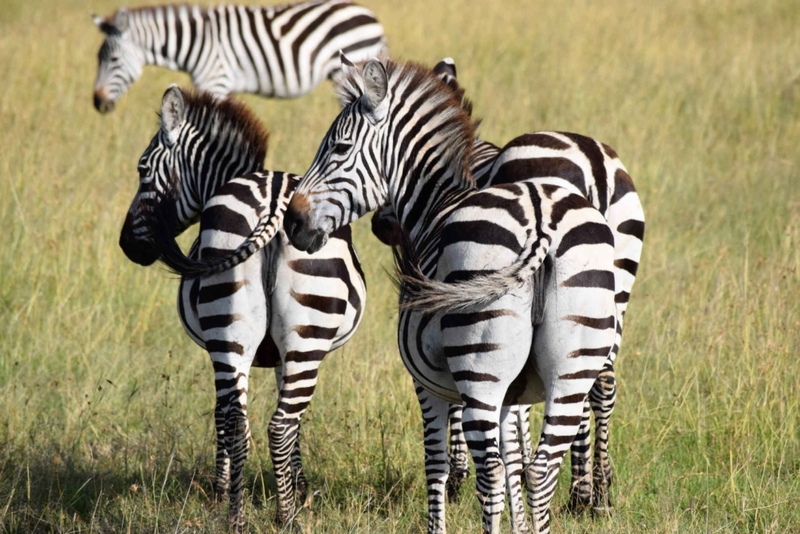 Every year, hoards of zebra, Thomson’s gazelle and wildebeest walk the 500 treacherous miles (800 km) from Tanzania to Kenya to find comfortable places to graze during the dry season. After calving in Tanzania during the spring, around 1.7 million wildebeest move northwest, arriving in Kenya in July or August. 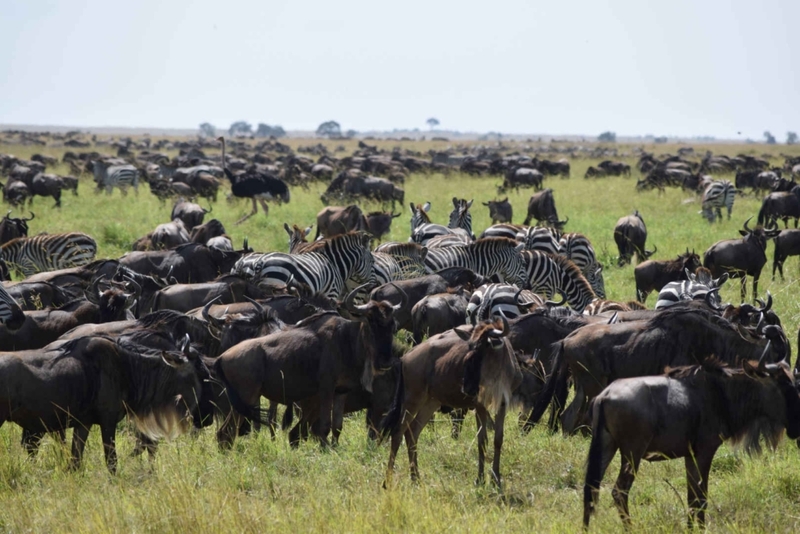 They are joined by a quarter of a million zebra and just under half a million gazelles. Once the rains begin in November, the migration starts moving south again. It was incredible to see this natural phenomenon for ourselves and at one point we were surrounded on all sides by these magnificent journeying creatures. The following morning was a particularly early start in order to see the animals feeding as the sun rose. 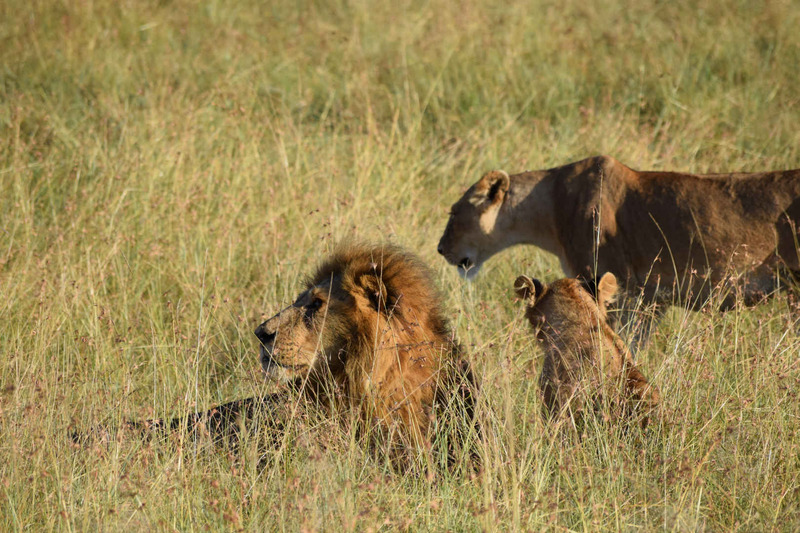 Some lionesses had just killed a wildebeest, so as the male lion tucked into the feast, the females gathered the lion cubs and the rest of the pride to tuck into their share of the kill. One the final day of our Maasai Mara tour, we visited a local Maasai village, which was a real privilege. The men of the village performed a captivating and rhythmic welcome dance and song for us, before inviting two of the men from our group to join them. Dressing them up in the traditional blankets, with headgear and a stick, the Maasai asked the men to jump. 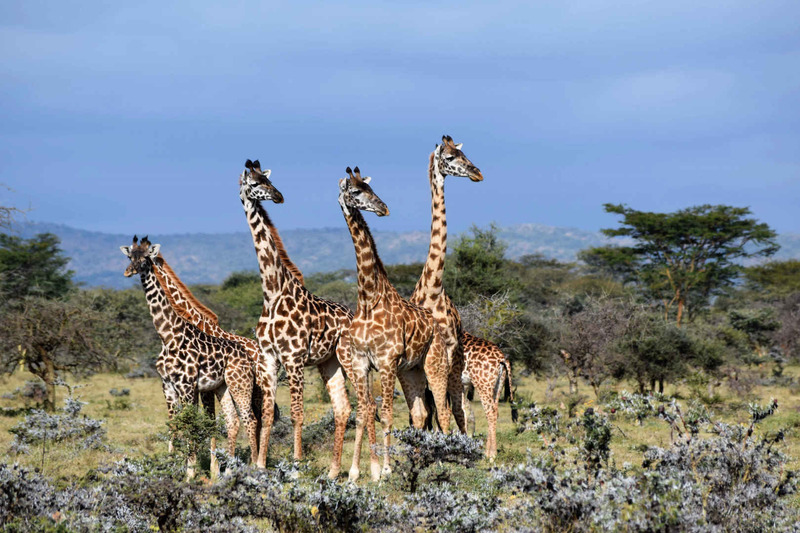 Leaping high is seen as a sign of prowess and could help you win the heart of a Maasai woman – along with a few cows as payment for her family. 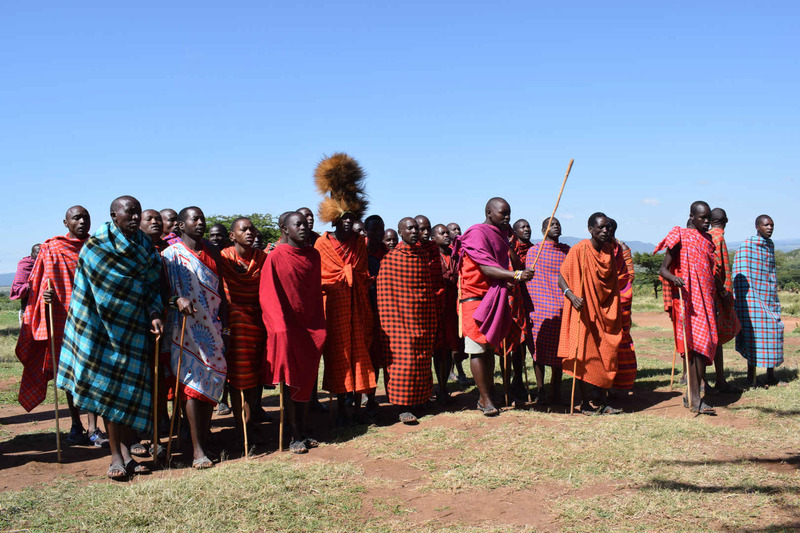 I wondered if the men would be too hot in the red Maasai blankets they had wrapped around them. But I bought my own and soon realised how useful they are. In the heat of the day, these blankets protect your skin from the sun, wind and dust, while during the cool nights they keep you warm. We ended up using ours every day of our trip from then on! 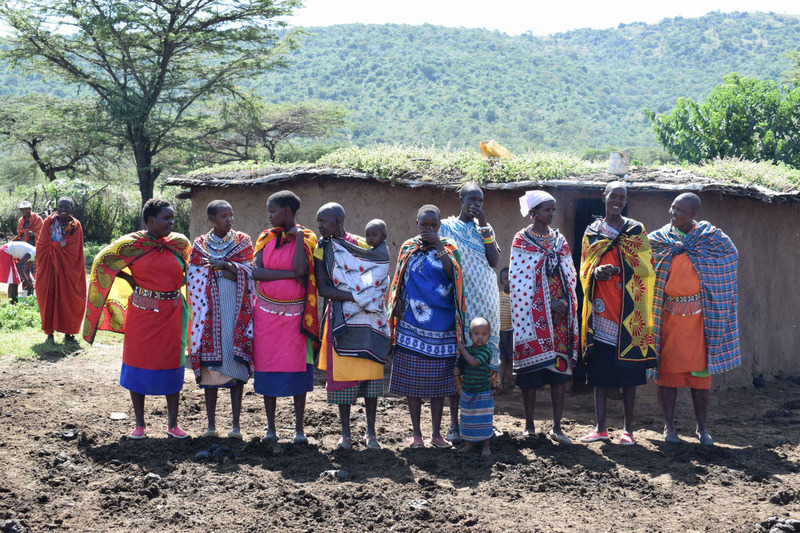 The Maasai villagers explained to us their lifestyle, including how every nine years they need to relocate their village because termites attack their mud homes. 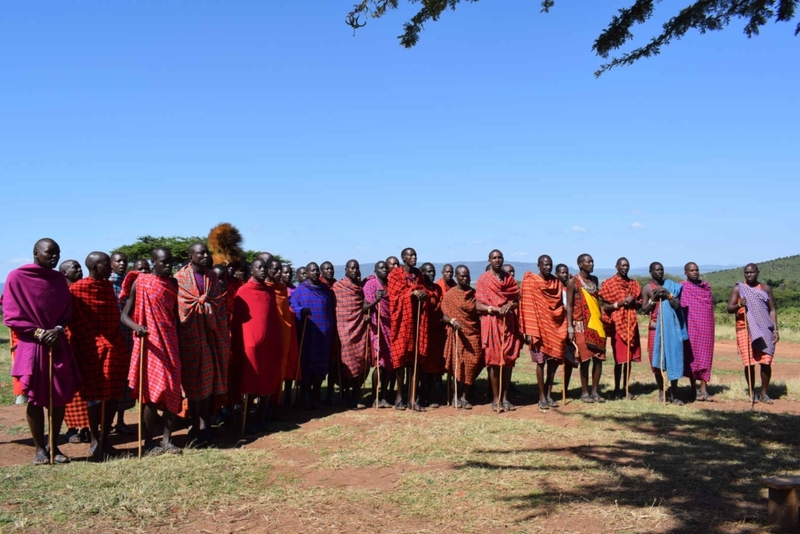 There are around 840,000 Maasai people in Kenya and another 800,000 in Tanzania. While the men of the village are usually warriors or farmers, the women raise the children, cook, milk the cows and construct the mud houses, which bake hard in the sun. We were invited into one family’s home, which was pitch black, without any natural or artificial light. We had to wait a while until our eyes adjusted to the darkness. 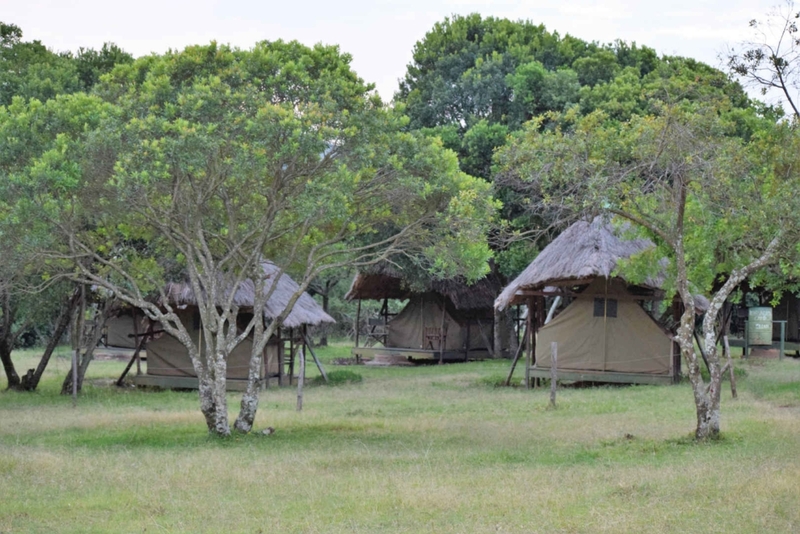 The home consisted of a room for the parents, one room for all the kids and another for their cow to stay in at nighttime, otherwise it could get attacked by one of the Maasai Mara National Reserve’s many predatory animals. 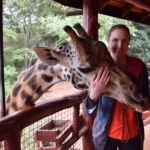 Our Kenya backpacking trip and the Maasai Mara safari was a fantastic experience and I’m grateful to Kate, Mash and our group of adventurers, who made it an unforgettable few days. It was well worth joining a tour group and we made new friends from around the world, as we shared this trip-of-a-lifetime. 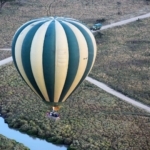 Next up, read about an incredible hot air balloon experience over Tanzania’s world famous Serengeti.